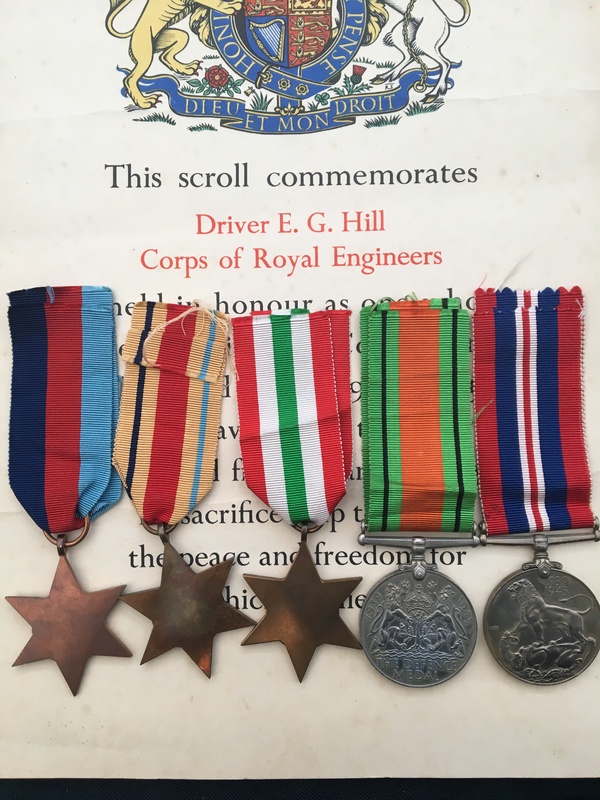 A WW2 medal group awarded to 2122837, Driver, Edward George Hill, who served with the Royal Engineers. 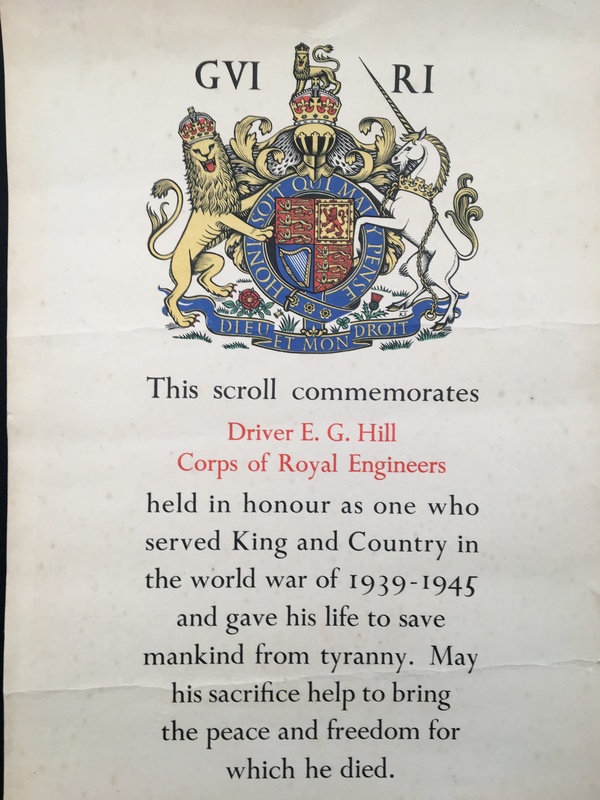 Hill died in service on the 6th March 1945. His Commonwealth War Graves Commission entry can be viewed by clicking on here. 1939-35 Star unnamed as issued. British War Medal as issued. 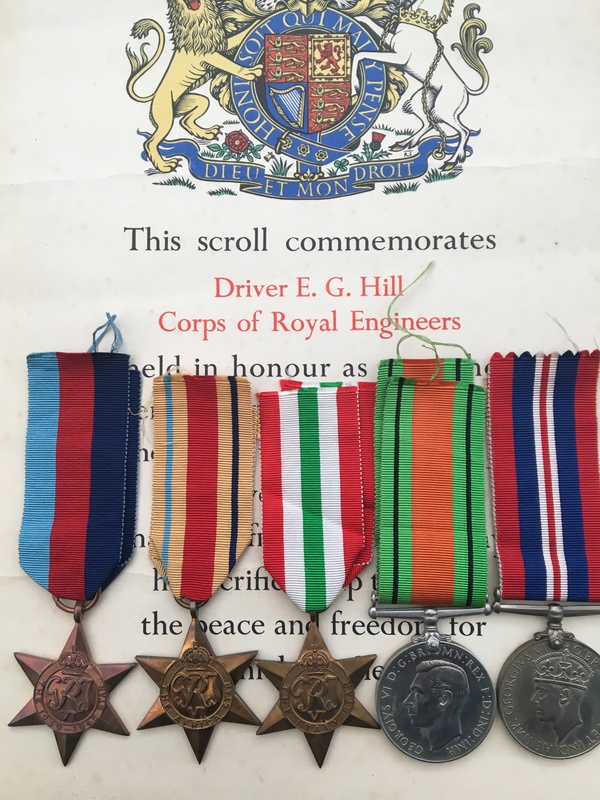 The medals are supplied loose, and this listing comes with an original (not a modern day copy), WW2 Service Certificate noting Driver Hill’s details and his Royal Engineer’s cap badge.